The all-new Porsche Cayenne was unveiled this August and is the third generation of the SUV. The SUV uses the same MLB platform as the Bentley Bentayga as well as the Audi Q7. 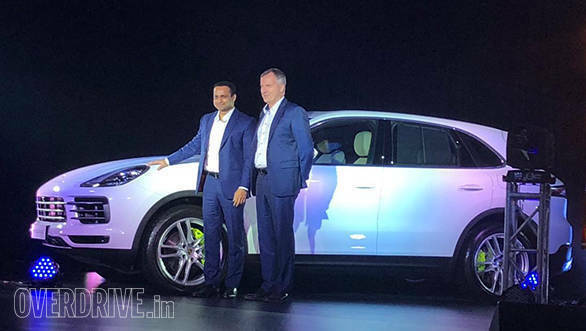 Porsche India has now launched the new-gen Cayenne in India at Rs. 1.19 crore. The third generation Porsche Cayenne will be offered as Cayenne V6, Cayenne PHEV, and Cayenne Turbo. The Porsche Cayenne E-hybrid is priced at Rs 1.58 crore while the Cayenne Turbo is available at Rs 1.92 crore. The standard Porsche Cayenne gets a 340PS/450Nm 3.0-litre six-cylinder turbo petrol and is claimed to do 0-100kmph in 6.2 seconds (5.9 seconds with the optional Sports Chrono Package), with a top speed of 245kmph. The Porsche Cayenne S in the meanwhile will get a twin-turbo 440PS/550Nm 2.9-litre V6 petrol. Porsche claims it will hit a top speed of 265kmph, while 0-100kmph comes up in 5.2 seconds (4.9 seconds with the optional Sports Chrono Package). Like the Audi Q7, even the Porsche Cayenne gets a revised and shorter ratio 8-speed gearbox. Adding to those numbers are the lower kerb weight of the new Porsche Cayenne - less by 55kg. 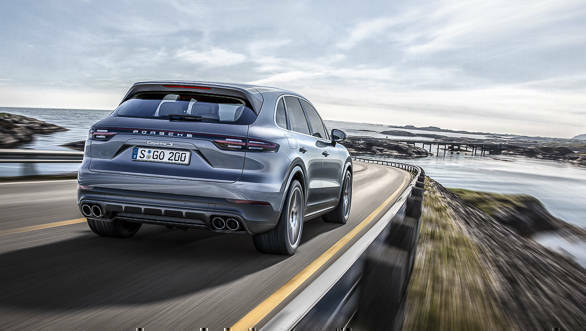 The new Porsche Cayenne also features the Porsche Traction Management system which works with the all-wheel-drive system to distribute power to each of the axles according to the terrain and the selected mode. There are five drive modes to choose from - Onroad, Mud, Gravel, Sand and Rocks.